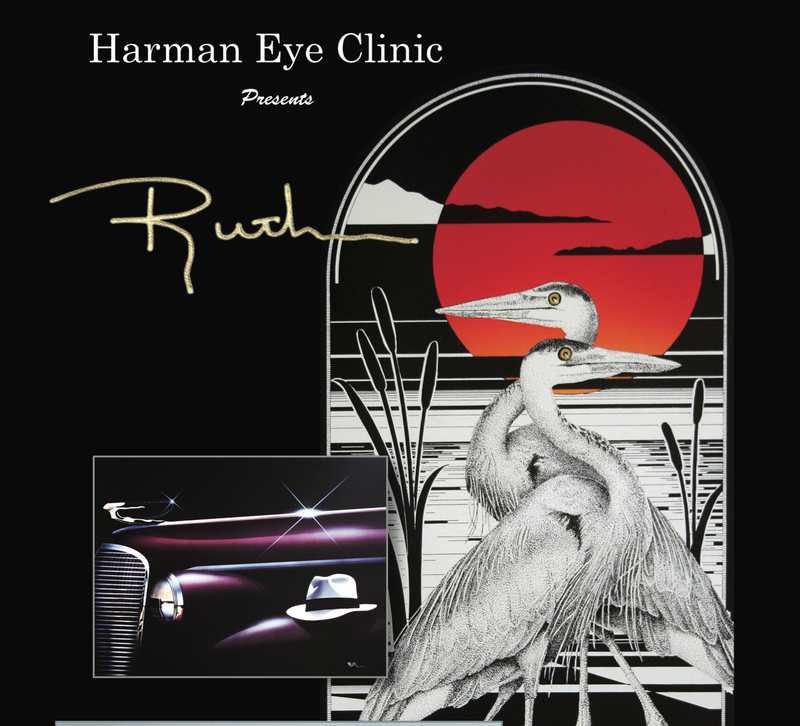 This September and October we are excited to welcome back artist Robert Ruth. Robert Ruth’s pen and ink drawings are primarily a style called pointillism. Combining this style with a few delicate lines, Robert renders his subjects with precision and loving care. Once an original is completed, Robert creates black and white limited edition prints on 100% rag, neutral PH balanced paper. The quality of this stock is meant to give a lifetime of viewing enjoyment with no worries of the life expectancy of the print. To make a black and white print come alive with color, Robert then hand colors it with watercolor. The print then becomes a unique piece of art, an “ORIGINAL PRINT” that is signed and numbered – a valuable addition to any art collection. Family and friends are welcome from Monday through Friday, 8 a.m. to 4:30 p.m. at the entrance to The Harman Eye Clinic. ← Patients Are The Reason For Our Existence!